Properties are not always in their "ideal" state for selling. If needed we can make any changes that you might require. From new grass in an abandoned garden, water in an empty pool, decluttering...etc. 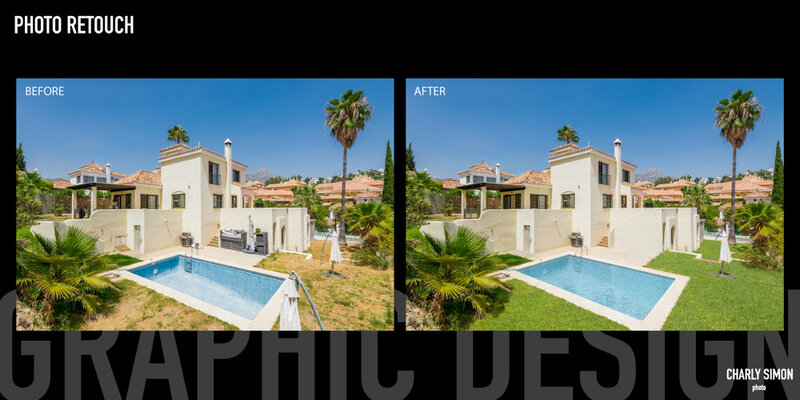 It's a great tool so the potential client sees how the house would be if they were living in it. Feel free to ask us! One of our specialties is designing Coffee Table books for high-end properties or projects. Whether you want to decorate your living room or office or give somebody a very special gift, it will attract a lot of attention. Great way to show your best work, with a premium feel. 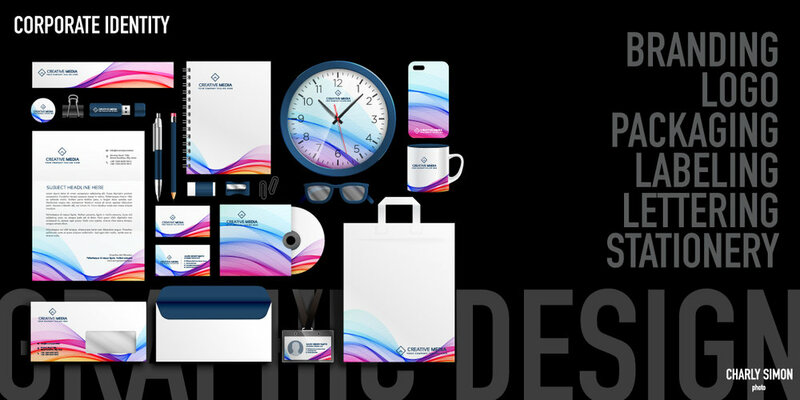 If you own a company, you know how important corporate image, branding and logos are. We make sure you get second-to-none service to fit your needs. You will have a very elegant and professional image for your company and set yourself apart from the competition. Feel free to ask us for a personalized quote!